What power! ESA provided a link to a Hi-Res version 3.65 MB, it’s worth the time even on slow connection. 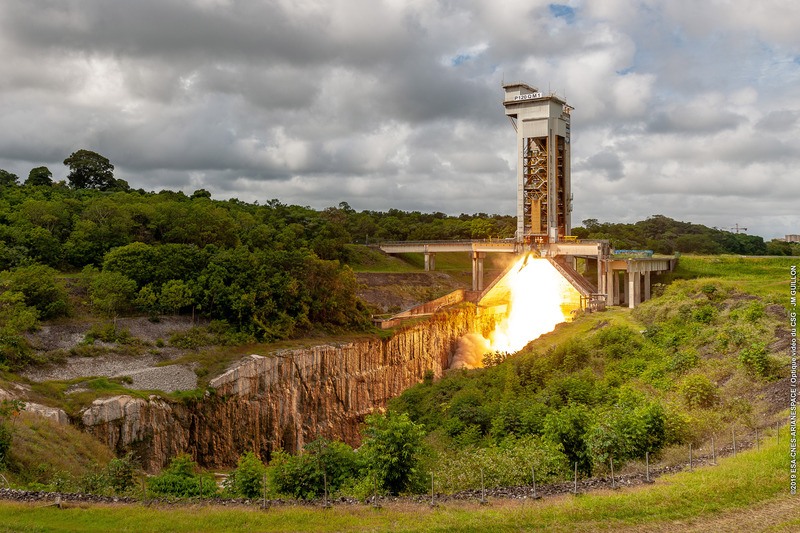 ESA – On 28 January 2019, the first qualification model of the P120C solid-propellant motor, in the configuration for Vega-C, was static fired on the test stand at Europe’s Spaceport in French Guiana.During a burn time of 135 seconds, the P120C delivered a maximum thrust of 4650 kN. No anomalies were seen and the performance met expectations.